Back in February, Virgil Abloh‘s brand Off White™ debuted a new Active line for women. Now according to @py_rates, the fashion house has teamed up with Nike on women’s exclusive “Track & Field” clothing collection. In an Instagram post pointing to the upcoming launch, an array of pieces are mentioned including jackets, running tops, tights, sports bras and more. 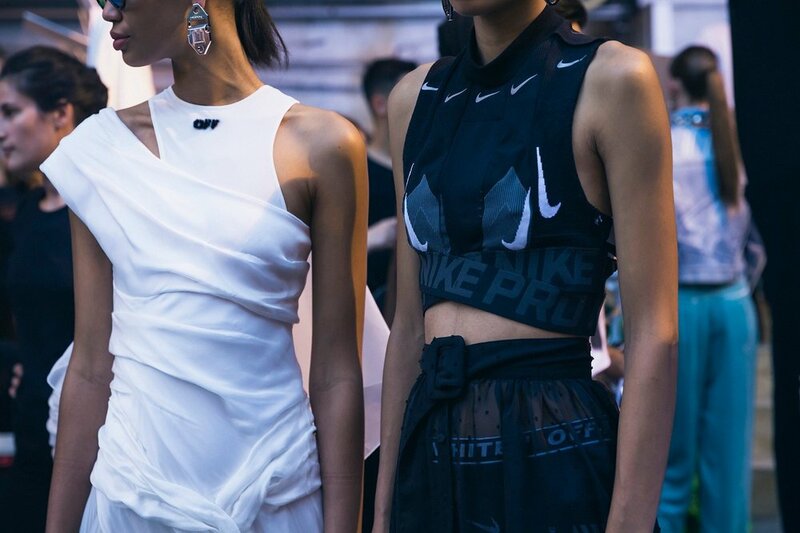 The @py_rates report comes as no surprise since Off-White™’s Spring/Summer 2019show held last year during Paris Fashion Week was entitled “Track & Field.” This presentation featured an array of pieces with Nike branding like a white, long sleeved top constructed with the Swoosh logo throughout and a neon yellow sports bra with a similar design.